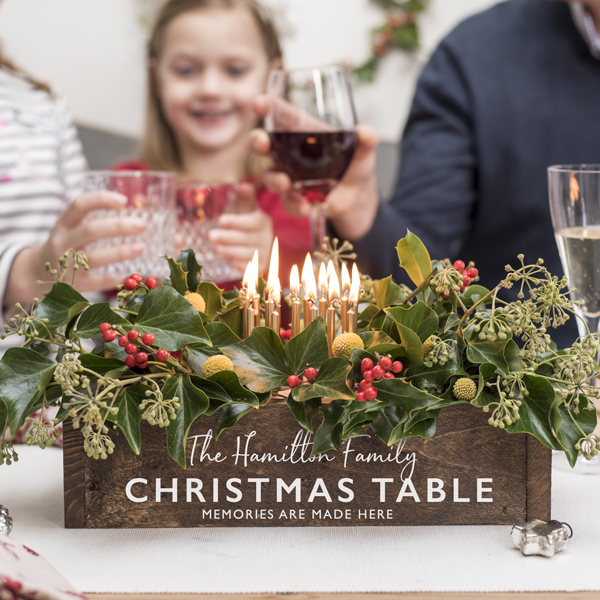 Made from reclaimed wood, this Personalised Christmas Table Centrepiece Wooden Box will bring an individual charm to the festive table. 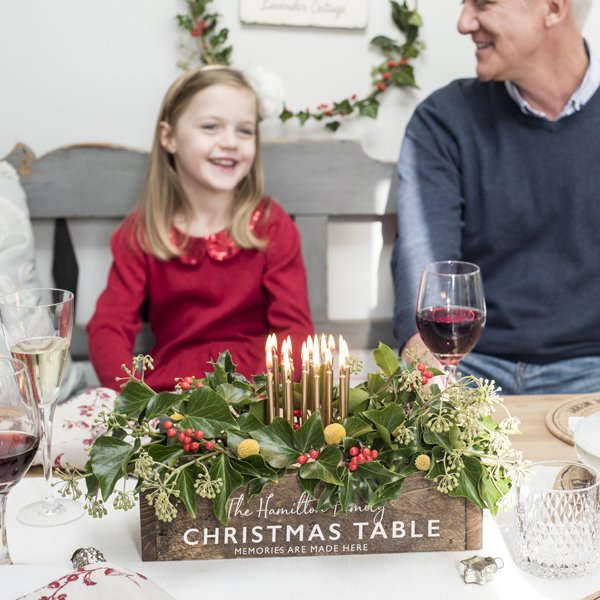 Each Personalised Christmas Table Centrepiece Wooden Box is made to order in our Derbyshire studio. 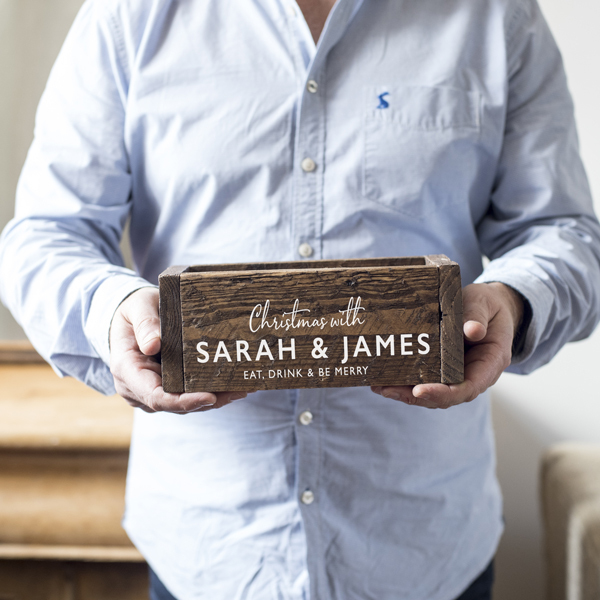 Reclaimed wood is waxed for a rich dark finish to create this beautiful rustic box. 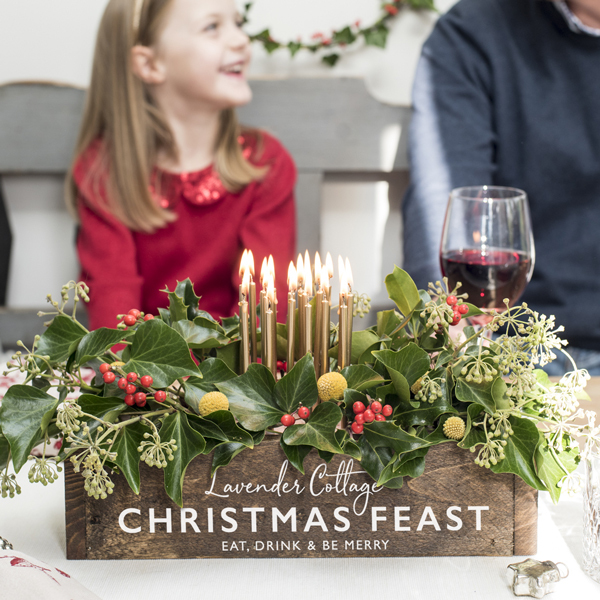 We used festive foliage from the garden and gold candles for our centrepiece, but this box works equally well for holding napkins and cutlery, condiments or wine bottles. 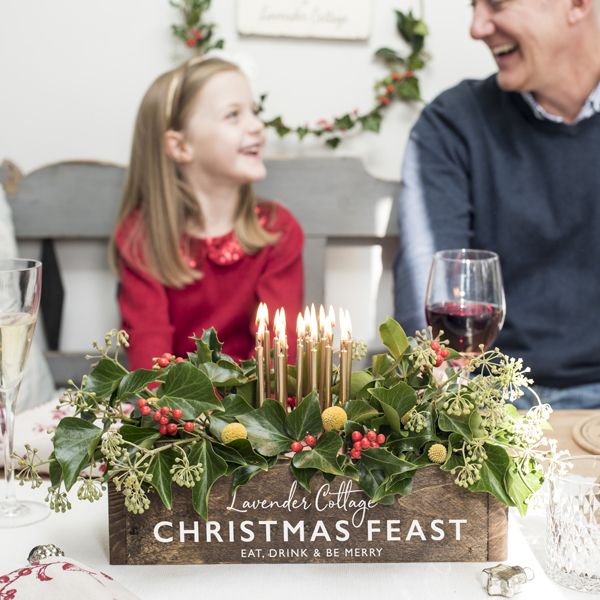 Use your creativity to create a centrepiece unique to you. The box can be used again and again for different purposes over the Christmas period and brought out year after year. 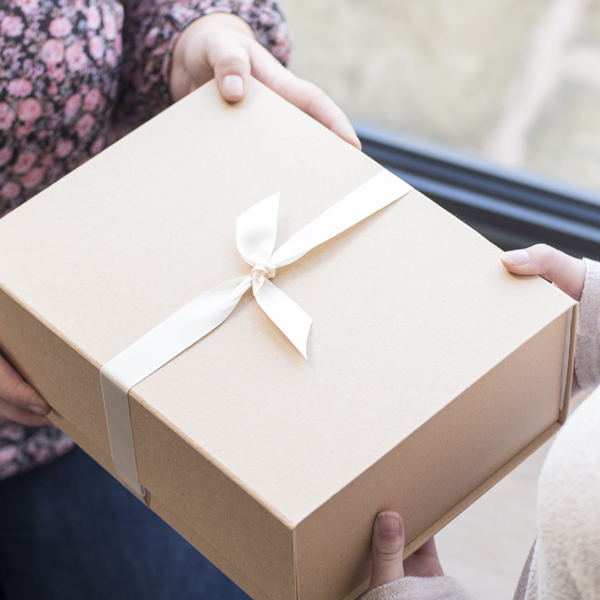 Your personalised wording is printed in white on one side of the box with the option of adding the same wording to the other side also. 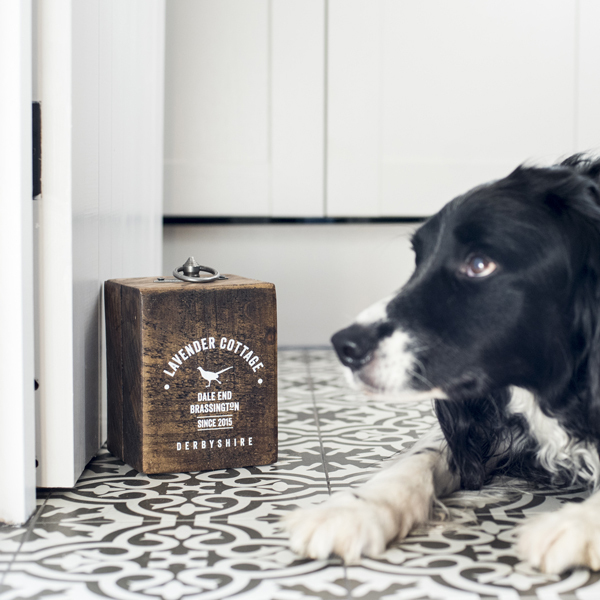 The reclaimed wood we use for our boxes is rustic and may have old nail holes which adds to the country charm of the box. Please take a look at the images to see the rustic finish. 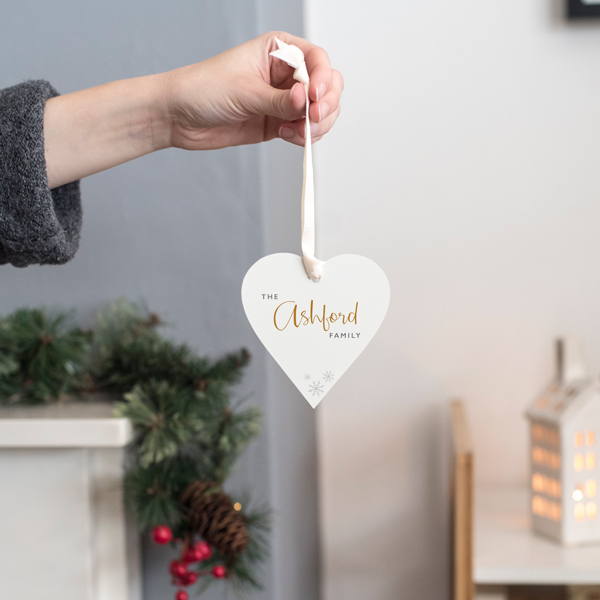 Personalised in white over three lines and available in a choice of two sizes. Sizes are approximate due to the reclaimed nature of the wood.